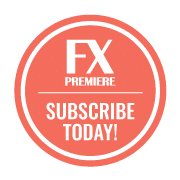 Forex Signals Forex Signal Subscription | FxPremiere - Subscribe Now! Forex Signal Subscription by FxPremiere. Ensuring that traders understand why Stop Losses and Take Profit levels are placed, and where they are placed. FxPremiere Group can provide you with daily and live forex signals and help you to improve in your trading strategies. You will be getting live Forex Signals depending on package you desire. Open a Forex Account with our Recommended Regulator Brokers ONLY! Receive our trading Daily Forex Signals via WhatsApp | Telegram | Email. EUR/USD, USD/CHF, EUR/CHF, USD/CAD, USD/JPY, GBP/USD, EUR/GBP, AUD/USD, CHF/JPY, AUD/JPY, EUR/JPY, NZD/JPY, GBP/JPY, NZD/USD, GOLD, CRUDE OIL . Forex Signals are now becoming increasingly popular for traders. Our Signals are sent to WorldWide using our VPS Server, There are no delays with WhatsApp | Telegram alerts as we use state of the art Cloud technology. We have over 56 Servers located all around the world for Prompt Delivery. ✅FxPremiere.com was Founded in 2010. ✅Over +24,329 members and growing. ✅Daily Forex Signals via WhatsApp, Email and Telegram Signals. ✅Learn exactly how we do it! ✅Access to profitable forex trading strategies. ✅Clear entry and exit trade plans. ✅Exclusive indicators available only to members. Forex Signal Subscription Service FxPremiere Group – Worldwide Delivery of Major currency pairs including minor, exotics, Commodity pairs! Daily Live Forex Signals sent via WhatsApp and Telegram Worldwide! We send out between 3 – 8 Currency Pair Signals per session. There are 2 sessions per day. 9AM & 3PM GMT UK TIME. We offer Forex Accounts in with our Direct Partners who offer the very best in Forex Accounts. Open a Forex Account below for only £5000 and receive our Signals Totally Free! SL vary as swing trades means trades are open for days from monitoring daily charts and 4 hour charts. Signals are sent Daily via WhatsApp, Telegram and Email.